In Zimbabwe EQUIP consortium partner Kheth’Impilo provides a cross cutting intervention spanning Direct Service Delivery, Technical Assistance, Cost Analysis through EQUIP strategic partner HE2RO, the introduction of five demonstration projects and the provision of policy to support the Zimbabwe Ministry of Health. 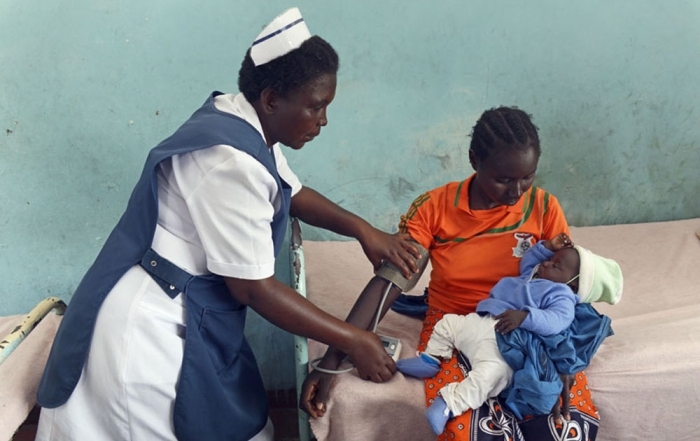 A total of 47 health care facilities in Zimbabwe have been assessed by EQUIP for their readiness to comply with recommendations made by Ministry of Health and Child Care (MOCHCC). These relate to Multi-Month Scripting, Viral Load Scale Up and in-facility provider initiated HIV Counselling and Testing. Differentiated service delivery (DSD) training was also provided to 36 opportunistic infections/antiretroviral therapy nurses drawn from all health facilities in Zimbabwe’s DSD districts. A MOU that seeks to create an enabling environment for Community ARV Groups (CAGs) was signed with three local authorities. A significant milestone for the EQUIP Zimbabwe programme was enrolling 634 patients into Community ARV Groups; resulting in the decongestion of existing selected health facilities. EQUIP’s program in Zimbabwe is currently focused on providing rapid Test &Start roll-out support, differentiated models of ART delivery with a focus on multi-month scripting and dispensing at facility and community level, and strategies and technologies for more efficient increases of HIV testing yield, initiation and retention on ART, and viral load suppression for both children and adults. EQUIP also provides innovative approaches that support the rapid scale-up of viral load monitoring, as well as demonstration projects focused on HIV self-testing in Zimbabwe. Zimbabwe was once one of southern Africa’s most vibrant, productive, and resilient countries. However, over the past decade, the nation has faced a series of political and economic crises that have led to the general decline of the standard of living and a breakdown in public health, education, and infrastructure. Zimbabwe’s high mortality and illness rates are a result of an under-resourced health delivery system, which is overstretched by the high burden of HIV, TB, malaria, and maternal and childhood illnesses. The top three health threats facing the people of Zimbabwe are HIV and AIDS, tuberculosis and malaria. These diseases have contributed significantly to the high number of maternal and childhood illness and deaths. Declining economic conditions have weakened a health system once known regionally for its well-educated and robust workforce.